Daisy is the oldest child in a large family and the thing she wants the most in the world is a puppy. But how can she convince her parents that a dog would be a good thing for the family? She washes the neighbourhood dogs, sleeps in a basket and howls at passing fire engines. But after gazing at the animals in the pet shop, she still leaves empty handed. The illustrations are wonderfully messy, sometimes running off the page, creating movement and life. It is through these pictures that you get a true sense of the warmth, love and togetherness of the family. Bear and Chook by the same author is a picture book I have always loved. There is something delightful about the way these two characters embrace the world. 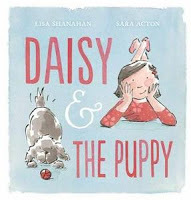 Daisy and her family are enchanting in a similar way with their earthiness and uncomplicated happiness. 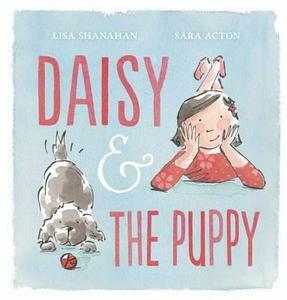 Daisy and the Puppy is a heart-warming story for three year olds and up, especially for any young child longing for a puppy of their own.